Here’s what’s up in the world of TV for Monday, November 6. All times are Eastern. 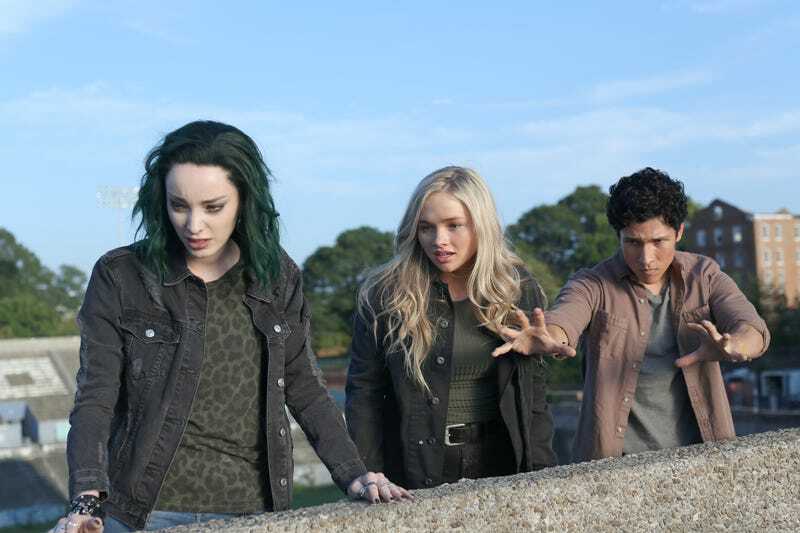 The Gifted (Fox, 9 p.m.): Although she avoids name-dropping Daddy, Polaris (Emma Dumont) is very much Magneto’s daughter. Their shared traits go beyond mutant abilities in “Got Your SiX,” as she leads the charge against the Sentinel Services. And speaking of families, Caitlin is still having misgivings about her kids fighting alongside the Mutant Underground. Jesse Hassenger will be clucking his tongue alongside Amy Acker tonight. The Simpsons, “Simpsoncalifragilisticexpiala(d’oh)cious” (FXX): Remember, remember, the fifth of November is Guy Fawkes Day (or Night). But since it fell on a Sunday this year, we’re observing it today with a re-watch of this classic Simpsons episode. After all, every day with Shary Bobbins is like Guy Fawkes Day (or Night).